Your employer doesn’t want to pay you fairly for your injuries? Our work injury attorneys in St. Louis make employers and negligent third-parties pay. What If Your Employer or Responsible Third-Party Doesn’t Think They Should Pay You Fairly for Your Injuries? Our Work Injury Attorneys in St. Louis Make Them! Our law firm might be able to assist you in recovering damages for work-related injuries if your injuries were caused by the negligence of a third-party other than your employer or a co-worker or if a loved one was killed at work due gross negligence. What Can You Do When Your Powerful Employer or the Insurance Company Says They Don’t Want to Pay? Smart employees in the St. Louis area don’t let powerful people and businesses trample over them. They know they need help. So it’s a wise move for you to contact a work injury lawyer instead. 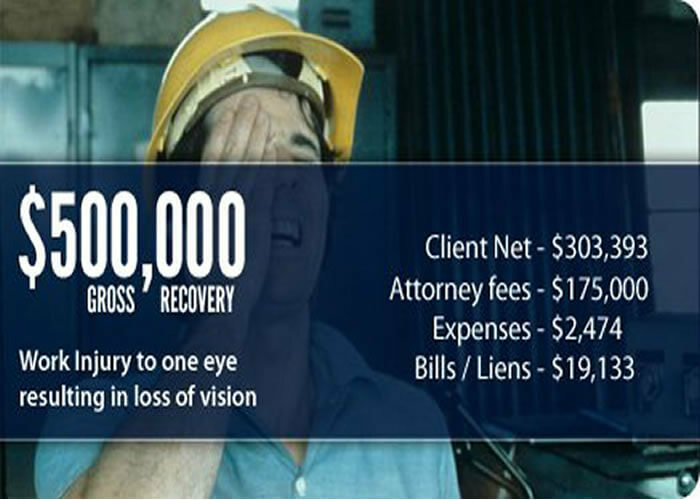 Don’t worry about the cost – work injury lawyers offer free consultations and only take a fee when they win your case. The real problem is finding one of the top work injury lawyers in the St. Louis area. What Makes Mullen & Mullen’s Work Injury Lawyers a Smart Choice? First of all, we don’t put any pressure on you to hire us. Come in for your free consultation. Learn our opinion of how to handle your case. Ask your questions. Go home and compare us to other lawyers you talk to. There’s absolutely no obligation on you to hire us on the spot. Managing Attorney Shane Mullen* is a “Super Lawyers Rising Star” from 2014-2016. That makes him one of the top 2.5% of all work injury lawyers with less than 10 years of experience, or under the age of 40. He’s also a member of the “Million Dollar Advocates Forum,” which means he’s won cases with values of $1 million and more. Regis L. Mullen*, Shane’s father, has more than 40 years of legal experience. A former attorney for multi-billion dollar insurance companies, he knows the exact techniques big businesses use to delay and deny claims.. Previous to joining Mullen & Mullen, Joseph Morrison* oversaw his own law firm. He’s overseen the filing and management of hundreds of lawsuits of all kinds and knows how to win tough work injury cases. At Mullen & Mullen Law Firm, we put absolutely no pressure on you to hire us on the spot. Learn our legal opinion of how we would approach your work injury case, and an estimate of what it could be worth. Just call 314-465-8733 (314-INJURED) or schedule your free consultation online today. Can you help me if my claim’s already been denied? Yes. We know some workers aren’t aware of their rights. And sometimes you’re purposefully kept in the dark. Should I expect to get paid-for treatment for all of my injuries? Yes – for all the ones related to your work injury anyway. Sometimes, insurance companies like to play power games and pay for just some of the injuries you experienced from your workplace accident. Don’t listen to whatever bureaucratic nonsense they spew at you. Contact a work injury lawyer instead. How important is the experience of the work injury lawyer I may hire? Experience is important. But it shouldn’t be your primary consideration. That’s because you can have experienced work injury lawyers no better at winning cases than others with lesser experience. Lawyers, like any professional, have different skill levels and personal commitments to their profession. So consider experience as being an important consideration. But don’t hire a lawyer exclusively because of their experience. What should I do if a lawyer urges me to hire them today? It’s your choice. But it’s probably not a good idea because it means they see you as an opportunity to profit. You’ll feel like a number pushed through their process. They may or may not return your calls. And they may not even spend much time working on your case. Some St. Louis personal injury lawyers move you through as fast as they can so they can profit big. And they’ll settle your case for thousands of dollars less than it’s really worth (sad but true). When should I consider hiring a St. Louis work injury lawyer? Talking with Mullen & Mullen’s St. Louis work injury lawyers is 100% free. So you risk nothing when you contact us online or call 314-465-8733. And you might just learn your case is worth more than you thought.